There are three general setups you can follow to get your Popsical working. Option C: Connecting to the Popsical Sound (or any other sound system) via Bluetooth. Connect USB-A end of the USB-C cable into the 3-pin plug adaptor, and plug that into a 220-240 Vac power outlet. Next, connect the USB-C end of the same cable to the Popsical’s USB-C port. Connect your HDMI cable to the Popsical’s HDMI port and the TV’s HDMI port. Ensure that your TV is switched to the correct mode, that will display your Popsical's video output. 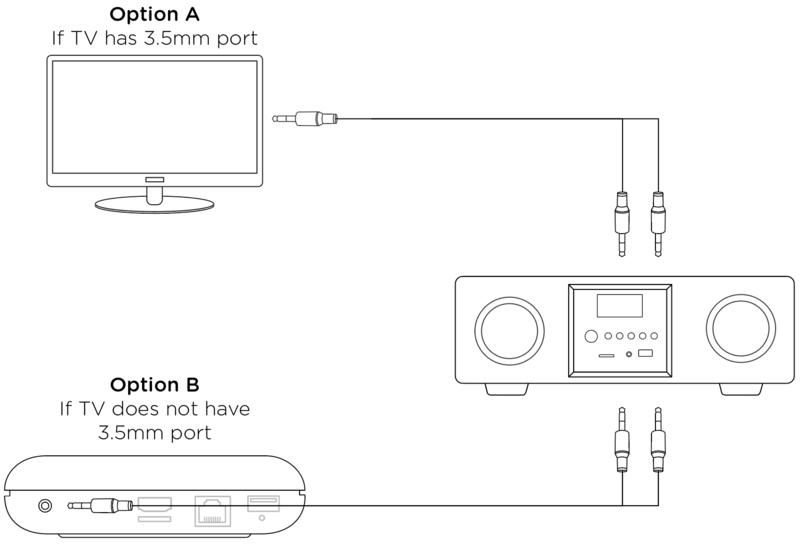 Option A: If your TV has a 3.5mm AUX port, you may use the AUX to RCA cable to connect it to your sound system or Popsical Sound. 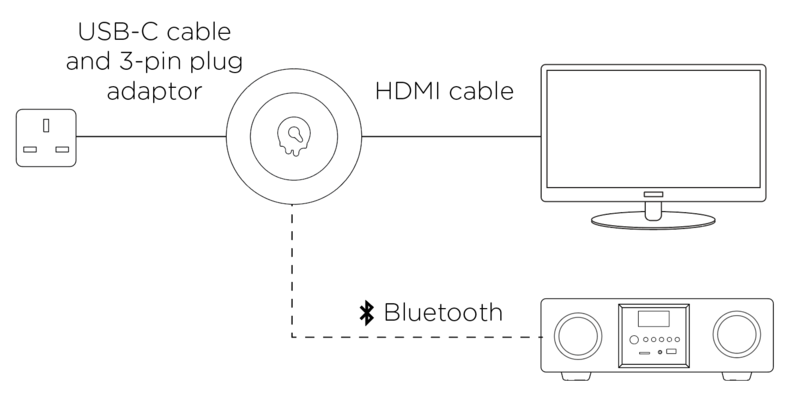 Option B: If your TV does not have a 3.5mm AUX port, you may connect your Popsical directly to the sound system or Popsical Sound, using the AUX to RCA cable. Option C: If your Sound System supports Bluetooth, you may also connect your Popsical to it directly, via Bluetooth (Home Screen \ Settings \ General Settings \ Bluetooth). Note: If your sound system does not support these setups, please contact your sound system's provider for an alternative setup.